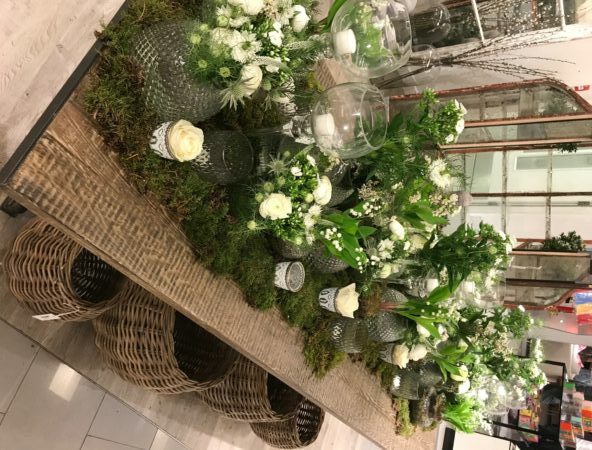 A couple of weeks ago we were fortunate to have the incredible floral alchemist, Larry Walshe host a table styling workshop at our One World Harvey Nichols concession. Larry has been commissioned by not only hundreds of brides and grooms, as well as some of the the worlds most luxurious brands, but also by Royal Households - so we knew our guests were in for a real treat. 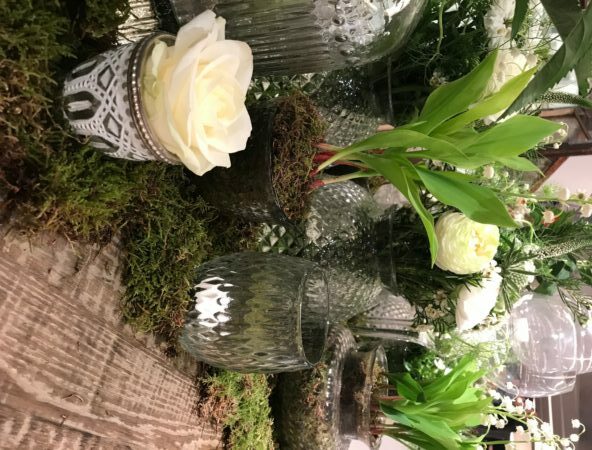 There were two very unique workshops and tutorials by Larry, a glass tablescape which focused on spring styles and blooms, and a pottery tablescape that highlighted soft, summer tones and florals. 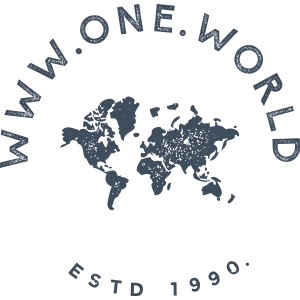 If you weren’t able to join us then we have created this post just for you! 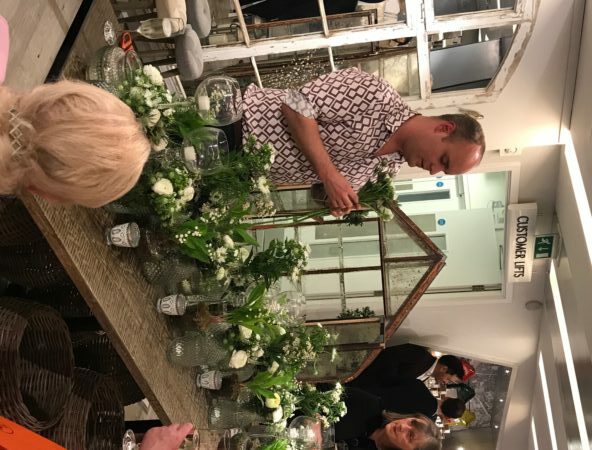 And, if you were then we hope you had a lovely evening and here’s a little recap so you can create your own floral arrangements at home. Here are some of Larry’s top tips for creating an eclectic glass table display. The best looks may appear random but are, in fact, carefully planned. Think mathematically when pulling together your eclectic look. Patterns work well and can be repeated to ensure coherence and visual interest along your table. Odd numbers of vases look better when placed in a series along a table. 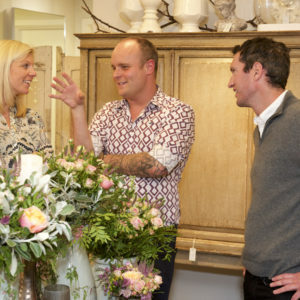 Aim to choose around 3-4 different styles of vases. Always choose the most seasonally available produce, as this will give you the best value for money. And why not add some lovely stems from your garden for a wonderful synergy both inside and out? 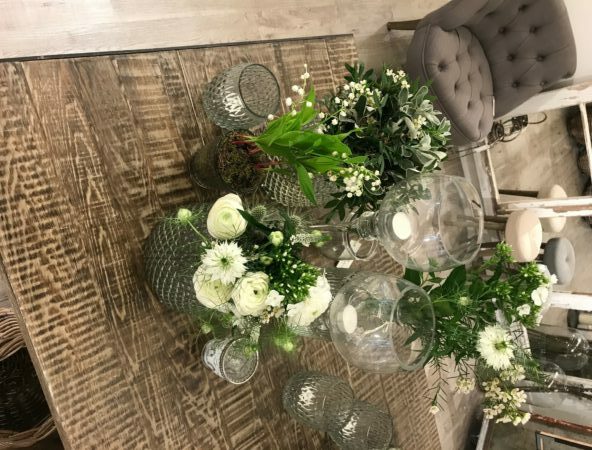 If you’re opting for a single colour, such as white, explore the different textures by using multiple flower varieties – this will create a tapestry of interest and delight. A runner of fresh moss will transform the appearance of the overall look and add depth and texture to your table. Stunning ideas for a pottery tablescape. Pistachio toned pottery is perfect for warm, summer tones. Contrast these pots by adding in touches of metallic (such as the Bronze Collection vases). Be sure to vary your pots in size to add visual variety throughout your tablescape. 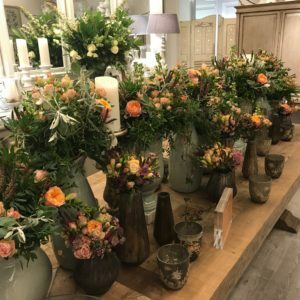 Using loose and romantic style floristry will suit the statement pistachio pottery pots. 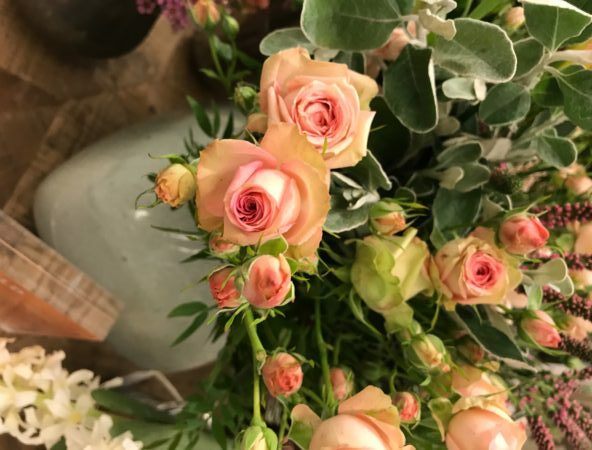 Hand tie the flowers together or arrange them directly in the vase, ensuring there is plenty of clean water and change the water every 2-3 days. When changing the water make sure you cut the stems by 1/2 inch – this will help your flowers to last longer. Fragrant blooms such as stocks and freesias work really well, and will add a beautiful, soft scent throughout your home. Again, consider adding foliage from your garden to enhance your look. For both displays, candles and vases add the final decorative touches. If you’re not a fan of candles then add individual rose heads to your votives. Use candles of varying height to your design at regular intervals and scatter lots of tea lights along your table for the finishing touch – perfect for creating that soft and warm evening glow. 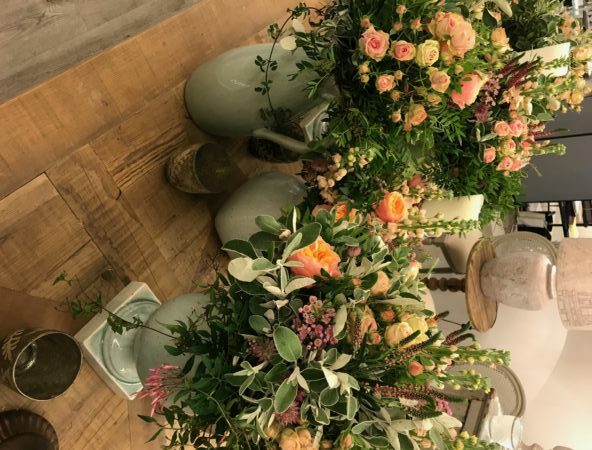 Floral alchemy with Larry Walshe at Harvey Nichols Join us for our floral workshop with Larry Walshe at our Harvey Nichols concession.